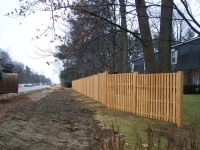 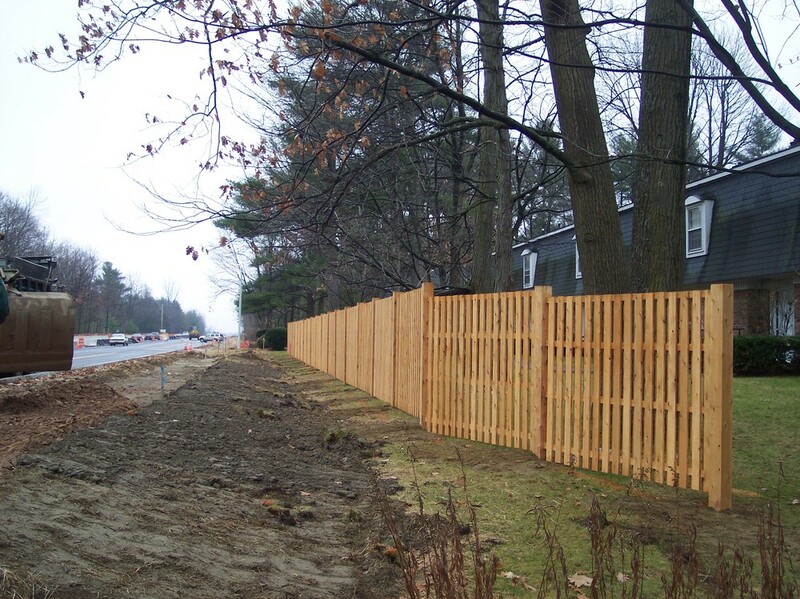 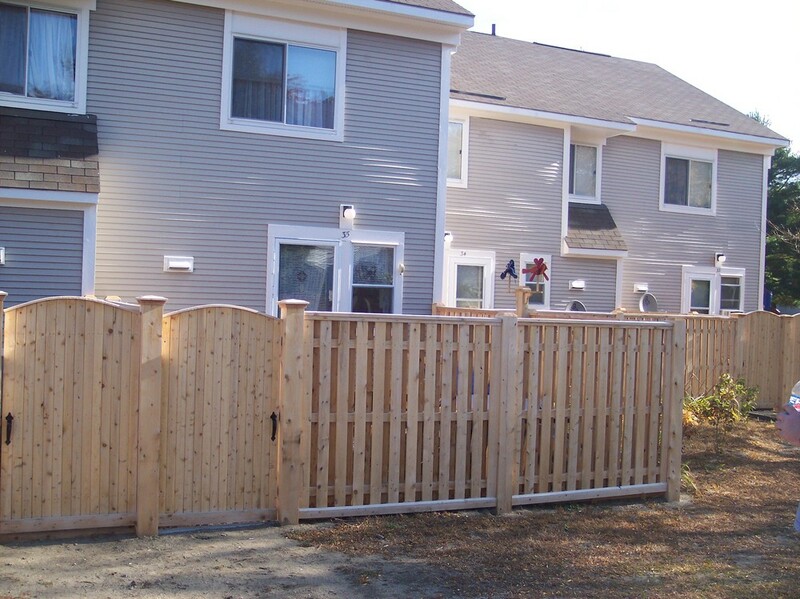 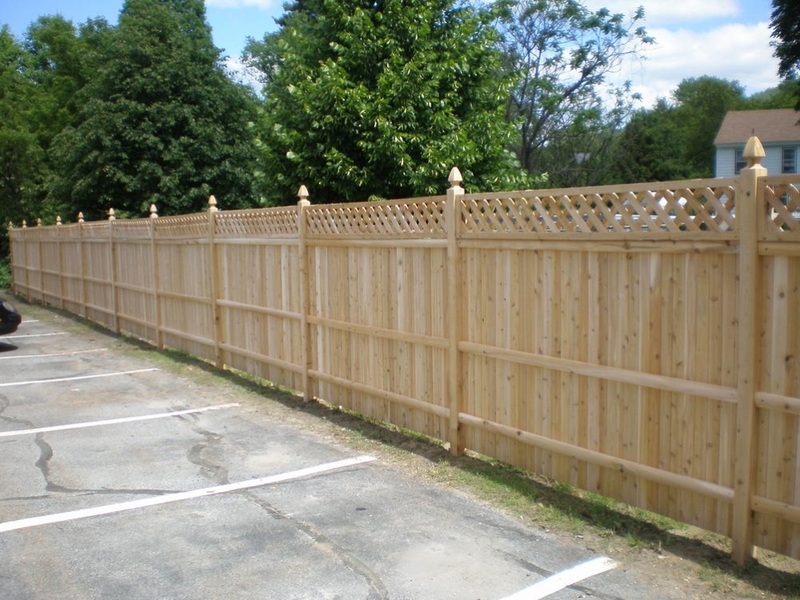 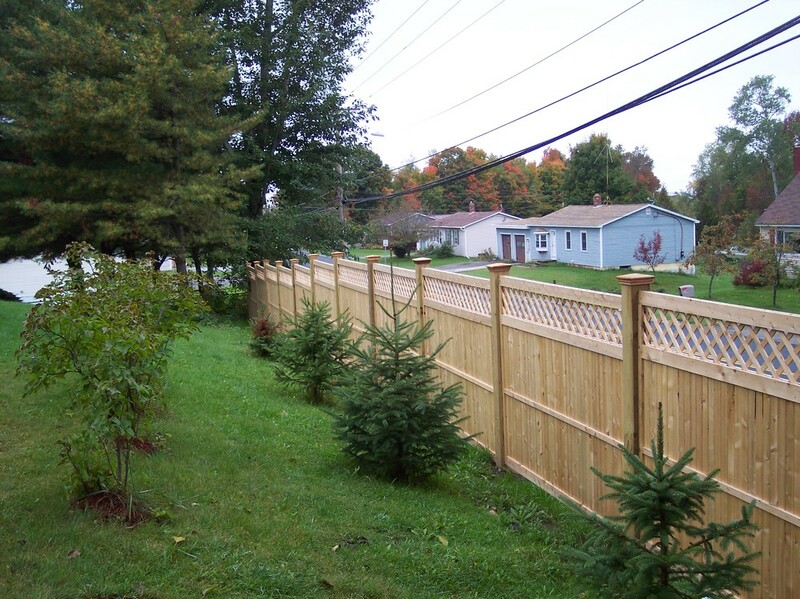 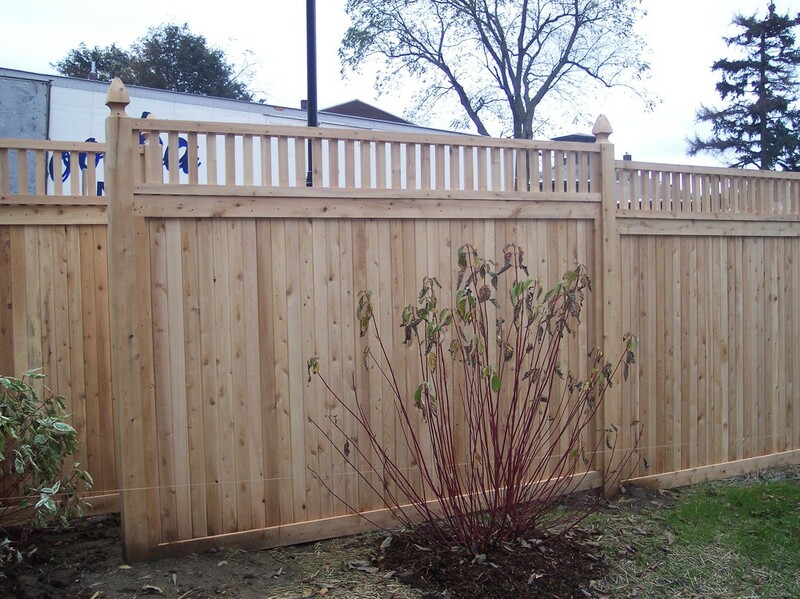 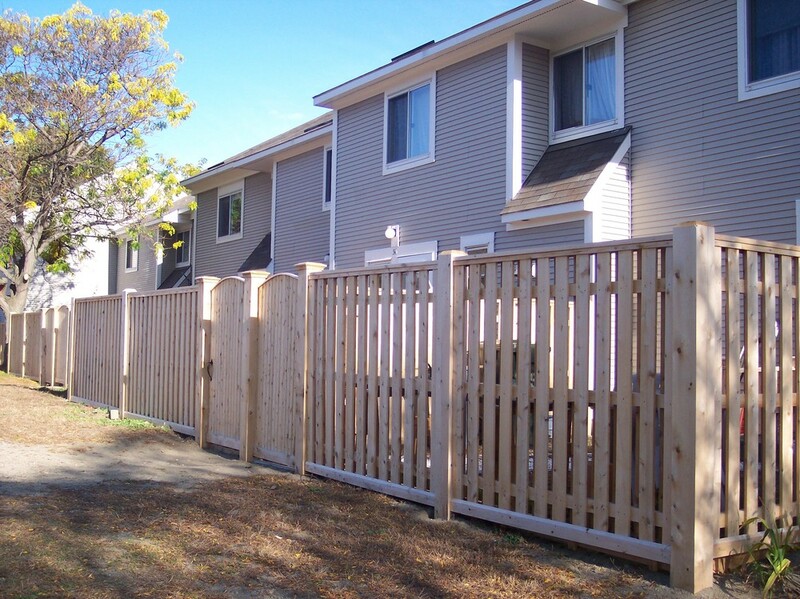 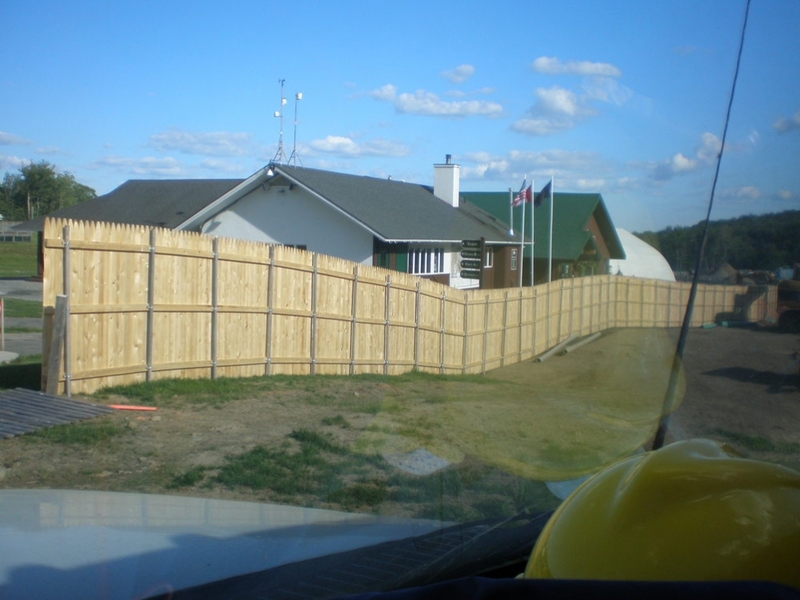 If you’re looking to keep out noise or prying eyes, our quality cedar privacy fences are an economical choice. Click on any of the images below to get a closer look at privacy fences we have installed. 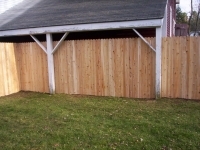 All of our privacy panels are made from 100% cedar, with aluminum ring shank nails to avoid rust stains. 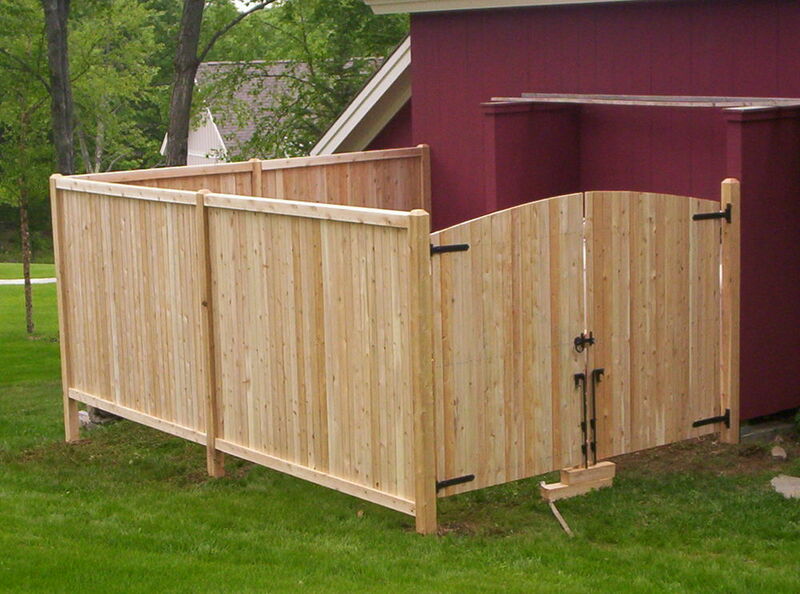 Backyard enclosure with arched gate. Dog-eared privacy fencing. Click on the photo to see the dog-ear style close up. Cedar stockade privacy fencing for this pool area. This style is called "shadowboard". 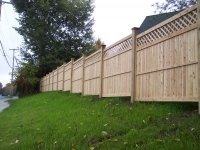 It allows some air and light to come through. Backyard privacy fence with spindle top. 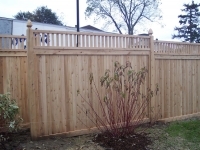 Solid board fencing with lattice top and french gothic posts. 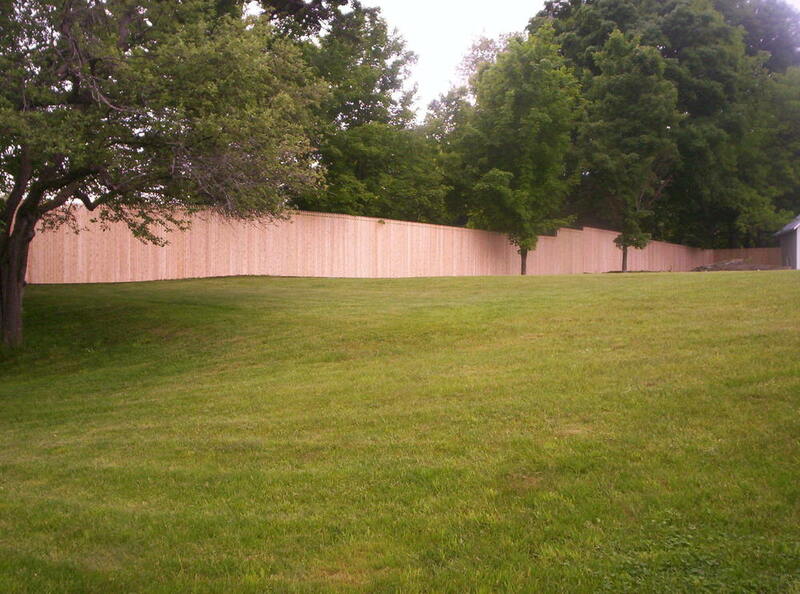 These privacy panels shield a private residence from nearby traffic and step down to follow the sloping grade. 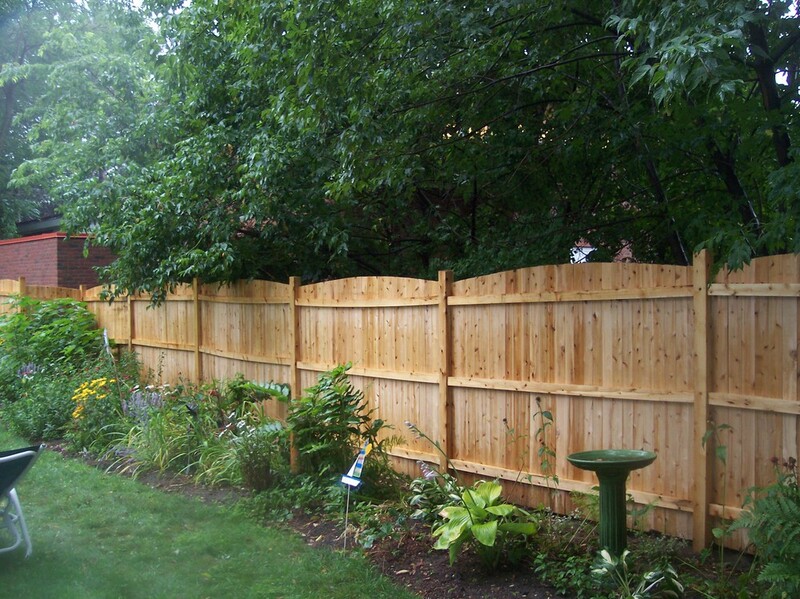 Solid board privacy with french gothic tops. This shadowboard privacy fence protects nearby condos from the noise of a busy street. This stockade is in a high wind area. 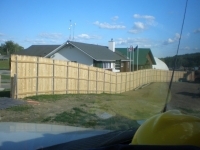 Notice the steel posts for added strength. 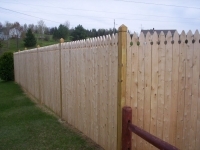 Notice the "New England" style caps which give the fence a more finished touch. 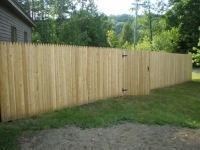 Shadowboard fencing with arched gates. 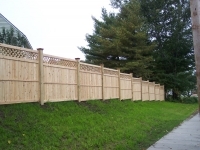 Privacy fence with french gothic tops. 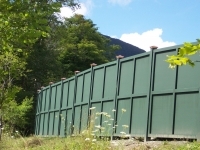 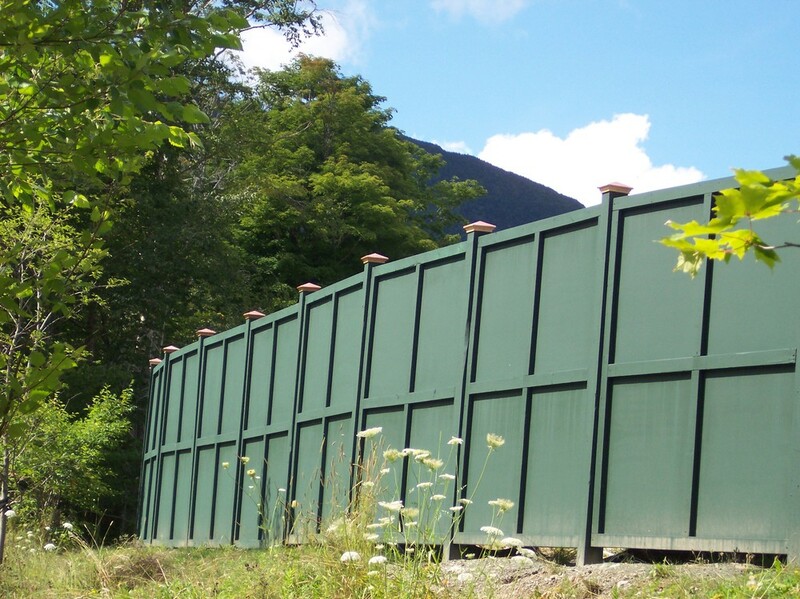 This 8 foot high fence shields neighbors from the sights and and sounds of construction at a Stowe area resort. 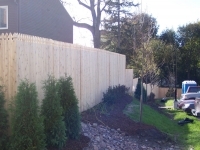 This style is an economical choice to provide privacy. 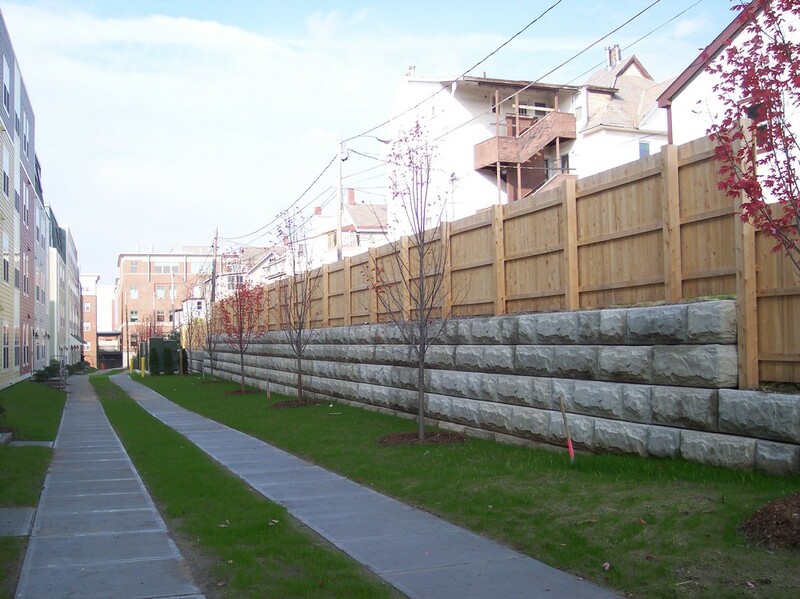 This solid board fence is part of a barrier between two neighborhoods. 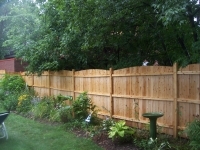 This long fence in Northfield provides complete privacy for a large backyard. 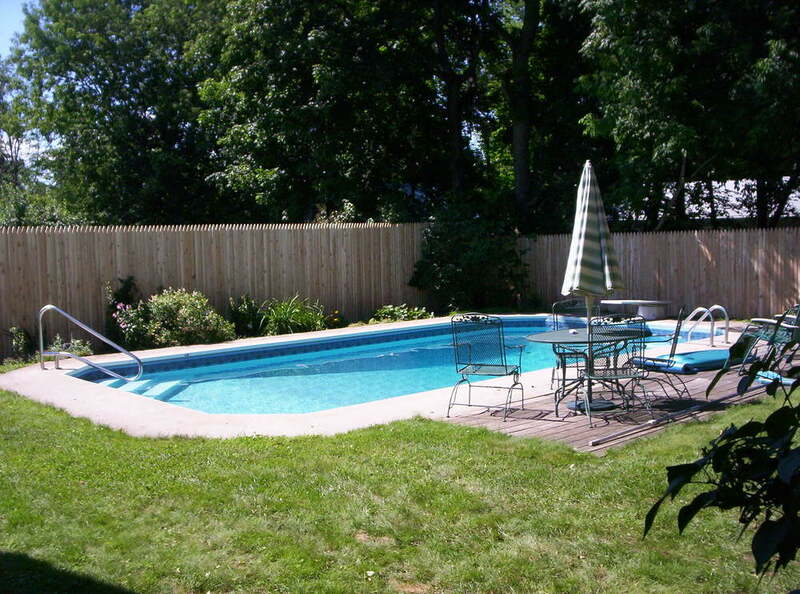 Notice how it flows with the land. 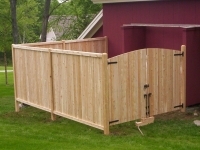 Backyard privacy fence with arched top.